Those who have high cholesterol levels are at an increased chance of suffering with a stroke or heart disease, as cholesterol plays a major role in heart health. Due to the importance of cholesterol levels in heart health, it is vital that you know what their levels are. High cholesterol levels can be the results of many different aspects. However, in order to truly understand cholesterol levels, you must know all the causes you could be dealing with. 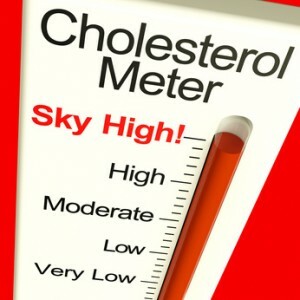 There are many people who will find that they have high cholesterol due to the fact that it runs in their family. There are many chronic illnesses that can cause high cholesterol, including liver disease, kidney disease and hyperthyroidism. Those who are overweight will find their good cholesterol levelsdecrease while their triglycerides are at an all-time high. What you eat plays a huge role in the number of your cholesterol. The main culprits to watch out for are saturated fats and trans fats. As you age, naturally your cholesterol levels start to rise. This usuallystarts happening at the age of 20. However, women often find that their cholesterol levels are not affected until menopause. Those who are less active will have higher cholesterol versus someone who is active. Those who smoke cigarettes are increasing their cholesterol levels, as smoking can increase the triglycerides. Several medications on the market have the side effect of causing an increase in cholesterol. For example, beta blockers and estrogen are notorious for causing this. It’s recommend that you start getting tested for cholesterol levels at the age of 20, yet some medical doctors say that men can wait until they are 35 years of age, while women can wait even longer at the age of 45 years old. No matter at what age you start, the test is meant to find any type of lipid disorder. In most cases, a blood test is used to determine whether you have a problem with your cholesterol. For those who do not fast before this blood test, tests will show their total cholesterol levels. However, for a more accurate test, doctors often recommend a fasting blood test. This blood test means you cannot eat nine to twelve hours before the test, and it measures the LDL, HDL, total cholesterol and the triglyceride levels in the blood. There is also a LDL test that only measures the LDL, and can be done at any time. If the tests are abnormal, many doctors will call for a glucose test or kidney function tests. Doctors may also do a thyroid test to ensure that thyroid gland is working properly. Depending upon if you fast or not, the blood is taken in the doctor’s office. They will take several samples in order to test the blood for various levels. They will then send the blood to a laboratory that will check the levels of cholesterol in the blood. If you do fast, they will look for many other aspects as well. The test results will be sent to your doctor, and he or she will look at the results and interpret these appropriately. From there, the doctor may look at your family history and your lifestyle to find if there is a reason for the abnormal numbers and how to proceed with them. A little bit of cholesterol is good for your body, but too much cholesterol can clog arteries and leave you an increased chance of getting heart disease. The following will tell you how to interpret your cholesterol levels. This measures all the cholesterol in your blood. Numbers that are lower than 200 are good, while 200-239 is borderline for concern.But any number over 240 is high and means you needhelp.When total cholesterol levels are high, your doctor may request addition cholesterol tests to find out your LDL and HDL cholesterol levels. HDL means high-density lipoprotein, and you will want these as high as possible as this is considered as good cholesterol. People have high HDL levels are often at a decreased chance of getting heart issues. Men will want their levels to be at least 40 mg/dL or higher, whilewomen will want 50 mg/dL or higher. LDL means low-density lipoprotein.This type of cholesterol is bad as it is basically measuring the fats and lipids in your blood, so you want your LDL number to be as low as possible. Doctors encourage patients to keep their LDL below 100 mg/dL, and even lower if you have a family history of high cholesterol. Levels that fall in 100-129 mg/dL are considered good. Levels on the borderline often are often between 130 to 159 mg/dL. When you have numbers that are 160-189 mg/dL, you are considered high. A number that is above 190 mg/dL is considered very high andcauses for alarm. VLDL means very low density lipoprotein.VLDL helps the cholesterol to build up within the arteries, so it isconsidered as a bad cholesterol. You need to maintain your VLDL within 5-40 ml/dL, which is an average normal level for most people. In order to manage your cholesterol levels, first you have to be tested, so you know what your levels are. At first, the doctor may want you to try diet and exercise as a natural way to lower your high cholesterol levels. However, if you do not respond to this routine, you may have to take a medication to help bring down your cholesterol numbers.